Around 1,000 bison now roam the land in the American Prairie Reserve. On a gray spring day in 2014, about 120 people, mostly members of the Assiniboine and Gros Ventre tribes, gathered to watch the release of 73 bison onto the open sagebrush of the American Prairie Reserve, a few dozen miles from Malta, Montana. Indeed, Gerrity’s team hopes to restore something long lost to present-day Native Americans: a shortgrass prairie inhabited by the wildlife their ancestors subsisted on before European-American settlement, including some 10,000 bison. By stitching together a national monument, a national wildlife reserve and private ranches with Bureau of Land Management grazing rights, the nonprofit APR hopes to build a 3.5 million-acre park in north-central Montana, a refuge more than 50 percent larger than Yellowstone National Park. But as they piece the project together, the newcomers are forcing longtime residents to reckon with their place in Western history, and are raising tensions over the region’s future. The idea for the reserve was first hatched in the 1990s and early 2000s, when conservation groups, including The Nature Conservancy and World Wildlife Fund, identified the Northern Great Plains as one of the few prairies worldwide that could support a wilderness. 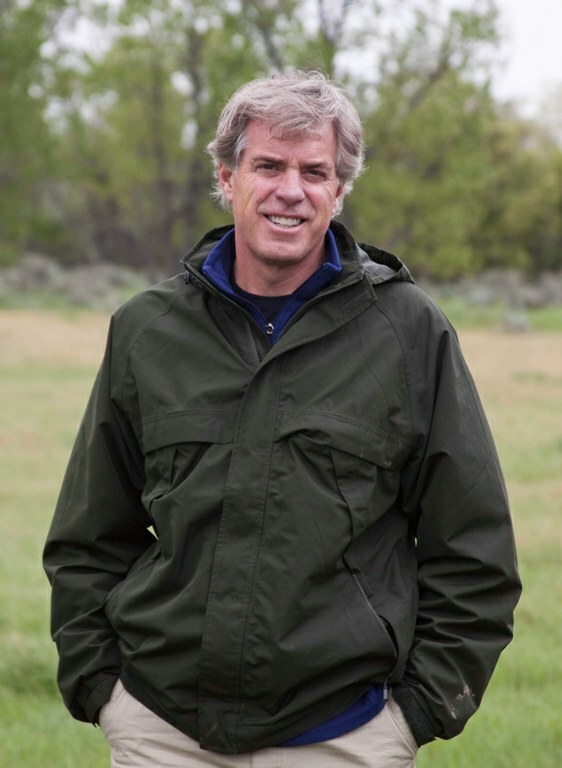 Gerrity learned about the project in 2001, a couple years after he sold his Silicon Valley consulting firm and moved to Bozeman. Though often painted as an outsider, Gerrity actually was returning to Montana — he was raised in Great Falls, in the central part of the state, and was initially skeptical of the reserve. Still the concept intrigued him. After 16 years in Silicon Valley, Gerrity, a trim 58-year-old, was no stranger to unorthodox ideas, and childhood hunting trips with his father had left him with a fascination for nature’s complexity. After conversations with the biologists behind the project, Gerrity became convinced that, over the course of decades, it would benefit a depopulating section of Montana. Locals, he thought, would eventually warm to the idea. He joined the team in 2001. Sean Gerrity, president of the American Prairie Reserve. Gerrity’s job now is to buy ranches, most in Phillips County, and take over accompanying grazing leases on public lands. So far, the organization has acquired 353,000 acres — 86,000 of them privately owned — and opened a micro-version of the reserve with 1,000 bison. Ultimately, 85 percent of it will be on federal land, including the Charles M. Russell National Wildlife Refuge. Conservation by acquisition is expensive; American Prairie Reserve estimates it will need to raise $500 million to buy land and fund its operations. Gerrity has called on some of America’s wealthiest donors, who have chipped in more than $100 million to date. Board members include prominent Western philanthropists like Helga and Liliane Haub — heirs to a German retail empire — and Jacqueline Mars, one of the world’s 30 wealthiest people. Visitors to the reserve can observe sage grouse, prairie dogs, pronghorn, and all the grama grass and sagebrush they can handle, but the main attraction is the bison. Before white settlers showed up, more than 30 million bison roamed the continent. Demand for buffalo robes and the leather belts used in steam engines sent droves of hunters west, and they were mercilessly effective. By 1890, the free-ranging bison population was estimated at 85. 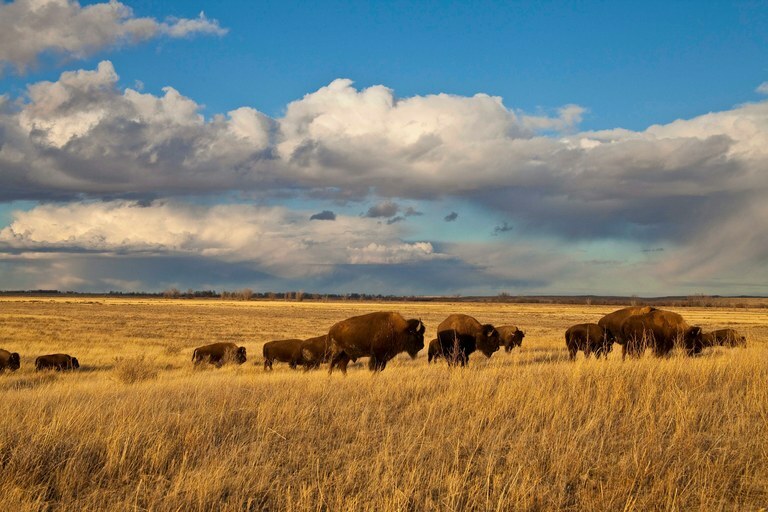 American Prairie Reserve invites the tribes to every bison release, and Fort Belknap’s leaders allow the guests of its 200-mile tours to camp on sacred grounds in the reservation. APR and Fort Belknap are also considering swapping bulls to diversify their herds’ genetics, and Gerrity says the two parties have discussed allowing APR’s bison to roam on sections of the reservation. 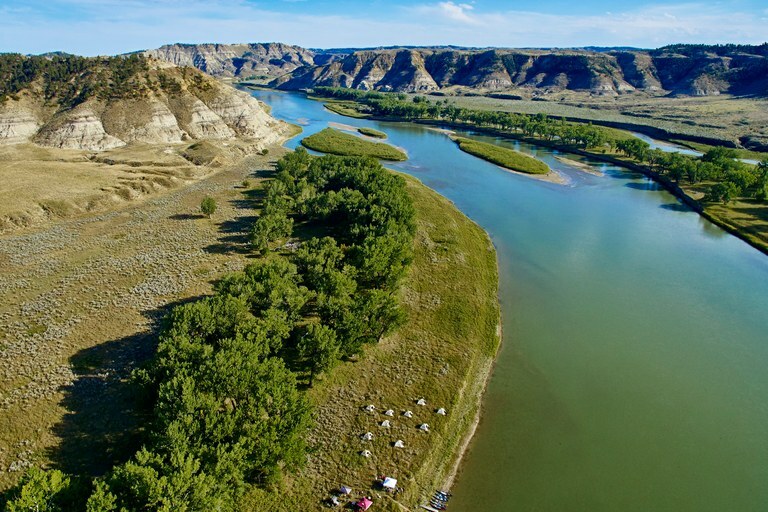 People camp on the American Prairie Reserve where Chief Joseph and the Nez Perce crossed the Missouri River on their nearly 1,200-mile attempt to evade the advancing U.S. army in 1877. It’s an awkward fact that APR must buy out its ranching neighbors to fulfill its vision. Longtime ranchers view the reserve as outsiders encroaching on a sustainable industry. “We do it, we do it right, and we feed a lot of people while we’re doing it. Why would you want to displace that?” says rancher Vicki Olson. The relationship is complicated by the fact that many of APR’s staunchest opponents helped restore the prairie, making the project possible. After inheriting overgrazed properties, generations of local ranchers have managed their land to bring back native grasses and allow wildlife — with the exception of bison and apex predators — to return. Less than 10 percent of APR’s targeted land has been tilled. And some ranchers worry that APR’s approach to conservation could damage the ecosystem. “They just want to let (the bison) run, no management, no culling, no nothing,” Olson says. “Free-roaming bison with no management ... is going to destroy it.” However, conservation biologists say 3.2 million acres could support bison herds large enough to prevent inbreeding, while supporting predator populations and preventing overgrazing. Opponents are working to ensure that properties remain under local control. Several families recently teamed up to buy parcels that went up for sale, and some aging ranchers are lining up buyers before listing their properties. But north-central Montana remains a market with willing sellers, and APR has millions to spend and the patience to implement its decades-long vision. “We’ve done 25 property deals,” Gerrity says. “Every single deal was because the seller had a new dream they wanted to fund,” be it a feedlot in Nebraska or a condo in Tucson. The underlying tension around APR is rooted in history. Ranchers who have cultivated the Montana plains for more than a century fear their lifestyle is in jeopardy, while local tribes regard a century as a short timeframe in which to lay claim to a landscape. “If a non-Indian rancher or farmer is fearful of their way of life being taken, they need to go back in their history books or come and talk to tribes, because that’s exactly what happened to us,” Azure says. Meanwhile, American Prairie Reserve continues to buy land. With each bison, the prairie looks more and more like it did before the ranches existed. When the gates to the bison pen finally opened in 2014, anyone expecting a stampede would’ve been disappointed; the thundering herd was content to simply mosey around the confines of the pen. The audience waited quietly, as did about 200 bison gathered on a hillside a couple hundred yards away. After a while, tribal members began singing gently, and the yearlings bolted for the hills, joining the resident herd on a prairie that — after 130 years — was once again home to bison.